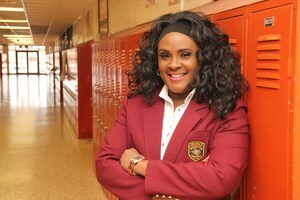 Lancaster, TX/Lancaster ISD – Going beyond the scope of her job description, Lancaster ISD Truancy Coordinator Dona Mitchell is always thinking of new ways to positively impact and serve district students. Most recently, Mitchell applied for the MetroTex Association of Realtors Charitable Trust Public Education Grant to help support the district’s anti-truancy initiative. 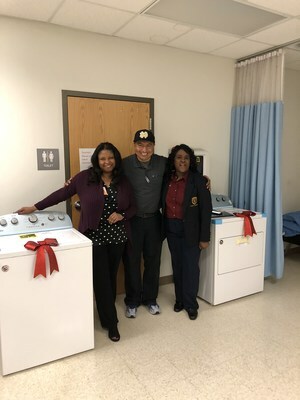 Mitchell heard that teachers on different campuses throughout the district were spending their personal time and money washing school clothes for students in need. After learning that teachers were selflessly doing these acts to help build self-confidence and prevent truancy, Mitchell applied for the Education Grant through MetroTex with the hopes of funding the purchase of campus washers and dryers to support the teachers’ efforts. The Public Education Grants from the MetroTex Association of Realtors Charitable Trust allow the members of the organization to give back to the community. The grants are managed by the MetroTex Public Education Committee which receives and reviews grant applications from public schools in North Texas. The organization awards several grants up to $3,000 to fund tangible student-driven projects that benefit the entire student body. This past fall, Mitchell applied for the grant on behalf of Lancaster ISD, which was one of five area school districts awarded. Due to the grant and Dona Mitchell’s anti-truancy initiative, four Lancaster ISD campuses now have a new washer and dryer for teachers to utilize at any time throughout the day. Mitchell believes that this is a major step in truancy prevention and will help teachers continue to remove barriers and fulfill the needs of students.